I was chatting with one of our landlords the other day about tenants and how, in the words of Forrest Gump, they are “like a box of chocolates (without the labelled sheet) …you never know what you’re gonna get”. This particular landlord had been receiving our Newlsetters for some time and we spoke regularly about certain issues that were arising with his tenants. He said that he felt relieved that he was able to come to me for help. Prior to joining our QT family, he had several awkward encounters with his tenants, which I was able to help him with. He had mixed emotions (as is usually the case being a landlord) when we reminisced about them, from chuckling at one encounter to being bewildered by the next. Tenant 1 seemed absolutely lovely, she was a lady on her own, mid 30’s, great job, great references and they got on straight away. As soon as she moved in, the landlord was inundated with texts and calls from her; “I’ve left my keys in the house”, “The light bulb has blown”, “The pipes make funny noise when the boiler turns on”, “There’s leaves in the drain”, “the temperature in the fridge isn’t right” …I need help wiping my backside! At first, he felt bad for the tenant and felt obliged to go and help (as people do) but then found that, as time went on, she knew she could continue to be demanding. He was getting texts late into the evening with silly demands and threatening to go to citizens advice if he didn’t go and sort the problem. At this point he knew things had to change. All of his other tenants were plodding along nicely, reporting the usual things as and when they arose, but this woman was taking the biscuit. After seeking my advice (I was more than happy to offer advice) he reviewed the tenancy agreement and made a list of the type of works that he was responsible for and the type of things she was responsible for. He also stated a reasonable time frame in which to respond to maintenance issues and said that, if he was called out to carry out minor jobs that she is responsible for, or for loss of keys, he would charge her £45 per call out. He sent the letter recorded delivery and, since then, the harassment has stopped and the poor man can sleep again. He now only deals with the usual maintenance issues that he is responsible for. Don’t get me wrong, we don’t want our tenants to NOT report issues with the property but, at the end of the day, you are running a business, not a free babysitting service for the clueless. Keeping on top of repairs as and when they are reported is better for the landlord as he can keep his property up to date, rather than having a massive payout after say a 5 year let. I do always urge tenants to report any maintenance issues directly to us as soon as they arise. Tenant 2 Was a quiet, unassuming man, late forties. He had a good job and reference from previous landlord. In the first few months of the tenancy he paid his rent on time each month and kept himself to himself. When the time came to carry out an inspection on the property, the landlord rang the tenant but there was no answer. The following day the landlord text him but had no reply after a couple of days. This continued for about a week with no response from the tenant. Starting to get a little concerned, the landlord went one evening and knocked on the door to see if the tenant was OK. The tenant didn’t answer, which was strange because the lights were on (this is the point at which you wish you’d never put a spy hole in the front door). 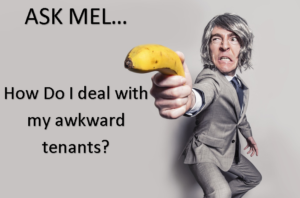 After calling me for some advice once again, the landlord went home and, like a pro, got to writing a letter saying that he had tried several times to contact the tenant (stated days and times of attempted contact) to arrange a property inspection. He also made clear in his letter that as per the tenancy agreement, inspections were part of the agreement and that, he was hereby giving 48 hours notice to enter the property and carry out the inspection. The letter also made clear that if the tenant was unavailable then he would enter with his spare keys. Now, firstly, you usually only have to give 24 hours notice (the time frame should be in your tenancy agreement) but the more notice you can give, the better. Also, try to make it a time when you know the tenant will be in (evenings or weekends are usually best). This landlord hand delivered the letter first thing in the morning, took a photo and asked a neighbour to witness that he had delivered it. Never leave yourself vulnerable to “What letter? I never got a letter!”. Funnily enough, the tenant miraculously figured out how to use his phone and text the landlord to say that he would be there at the time of the inspection. The landlord was dreading doing the inspection thinking the tenant had trashed the house but, the strange thing was, the house was absolutely fine and the tenant was lovely and polite. It seems that some people just don’t want to be bothered or feel like THEY are being judged or inspected. That’s why it’s important to explain that inspections are beneficial for both landlord and tenant. The tenant gets to discuss any issues and show up any problem areas or areas they wish to decorate etc. And, at the same time the landlord can sleep soundly knowing his property is in safe hands (or pin point areas that need addressing that the tenant hadn’t noticed…I’m sure you’d prefer the sleeping soundly option). We have plenty of experience with finding the right tenant for your property. As you know this landlord found the tenants himself; however we tend to work out if the tenant is right for the property by asking some key questions upon the viewing of the property. This all comes with experience. 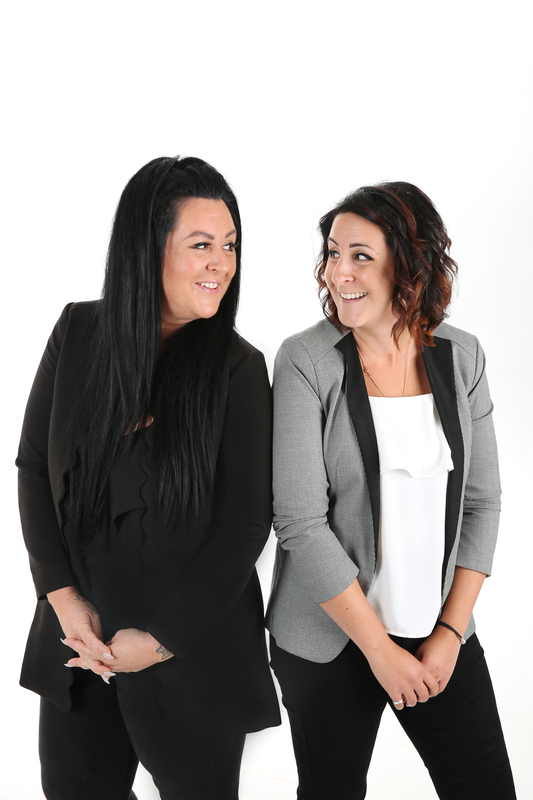 The questions come across as normal chit chat but for us it’s just an extra way to vet the potential tenant before we go ahead with any applications. It’s such a relief when you get a seemingly ‘ideal’ tenant and they’re paying the rent on time each month. You can just sit back and relax…right? If you are self-managing your property portfolio it is really important to keep on top of things. By this I mean, ensuring all certificates are up to date (gas, electric, legionella report etc) as well as arranging regular inspections at your properties and dealing with any issues that tenants have reported. “surely it’s up to the tenant to report issues?” I hear you ask. Yes, it is but it’s also crucial to carry out regular inspections (at least every 6 months). Some tenants are often reluctant to report problems because they are worried about being evicted if they come across as a nuisance to you. Or, it could be a minor thing that they don’t think is important, when in fact it could escalate and become an even bigger problem! If you can highlight issues early and get them addressed, this will be a much cheaper and less stressful way of dealing with it. So many landlords that I have spoken to have avoided the minor costs and minor problems and it has resulted in much larger, costly, stressful outcomes. Are there any roof tiles that look out of place or missing? Are there any signs of damage on the chimney? Ask the tenant is there are any issues with electrics, plumbing, appliances etc. These are just some of the few things we look out for during an inspection of our managed properties. I cannot stress enough how important they are. 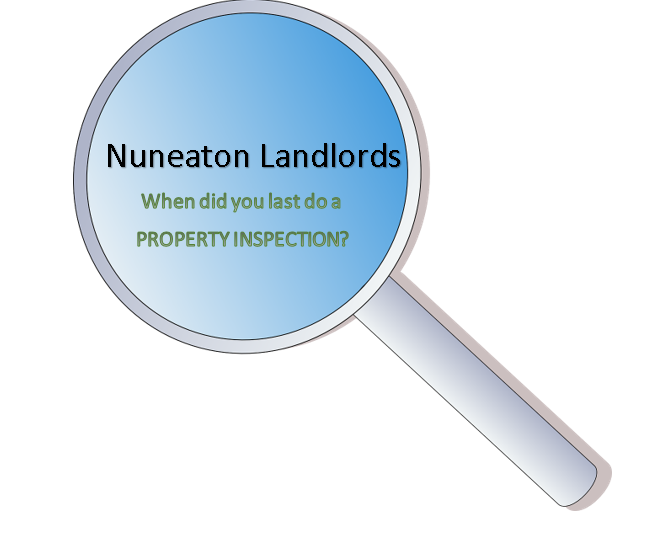 If managing your property is becoming too time consuming or stressful for you, or if you wish to know more information relating to inspections (your rights, how much notice to give, what to do if your tenant ignores your request etc), please feel free to pop in for a chat (our office is on Bond Street, Nuneaton) and we can see what we can do to help. Alternatively, call 02477 674 545. Nuneaton Landlords- Is a limited Company the way forward? There’s no doubt about it, 2016 has been one of the most draw dropping for landlords what with Brexit, the new 3% stamp duty on all buy-to-lets, changes to tax and now the banning of tenant fees, all of which has left most landlords thinking “is this really worth it?”. This is definitely reflected in the rental market with buy-to-lets dwindling on the property portals. It’s becoming increasingly popular for landlords to buy through limited companies and, according to specialist lender Fleet Mortgages 60% of it’s purchase buy-to-let business is now limited companies, which is up 20% over the last 12-18 months. So, is this right for you? Corporation tax is charged at 20% on profits up to £300,000 (this is going down to 17% in 2020). Limited companies are not subject to the new ‘turnover tax’…perk! You can pay yourself tax-free dividend income up to £5,000/year from your new shiny limited company…more perks! Use your profit to save a deposit for your next buy-to-let and guess what…you don’t pay income tax on profit so, save away! Before you start sobbing at even MORE bad news, this isn’t too bad. It’s just that some lenders tend to charge a premium for mortgages lent to limited companies HOWEVER more and more lenders are now offering cheaper limited company loans. This sums up the decisions made in 2016…only joking (or am I?!) It can be quite expensive to transfer properties that you already have into a limited company and it’s complicated so please make sure you seek professional tax advice. You’ll have to add ‘Tax Return’ on your annual to do list, which does take longer than a personal tax return. But, if you keep on top of things on a weekly basis you will be better prepared at the year end and hand it all over to your lovely accountant (shop around to get the right accountant. One specialising in property would be helpful). When an individual sells a property they have an allowance of £11,100 Capital Gains Tax allowance (2016/2017) but this allowance doesn’t apply to companies. But, why sell? Just build your little property empire and enjoy. So, are you about to open a new web page and type in www.companieshouse.co.uk to set up your new limited company/ property empire? Well, like I said before, have a think about it, speak to a professional tax advisor and see where you can go from there. I hope I have managed to bring some joy or glad tidings your way. Either way, I wish you the best of luck in your investigations and I hope it all works out for the best. If you wish to discuss your investments in more detail please feel free to pop into our office for a chat or give us a call on 02477 674 545. 2 Nuneaton BTL opportunities…but which would you pick?? Good Morning all, I hope jack frost hasn’t put you off searching for that perfect buy to let investment? I know I sure haven’t been! In fact, I have 2 houses to show you today, both of which I’m sure would appeal to people in different aspects but I thought I’d share my opinions and some facts on each property with you…then you can decide which would be the ‘better’ choice. First, we have a lovely, modern, 3 bedroom semi detached property located in a quiet cul-de-sac just off the Whittleford Road which I do believe is classed as the Camp Hill area of Nuneaton. It has off road parking and a small conservatory with the possibility to extend. Internally it looks very modern and very much ready to let and would appeal to a young family or working professionals, especially with the added bonus of the off road parking. 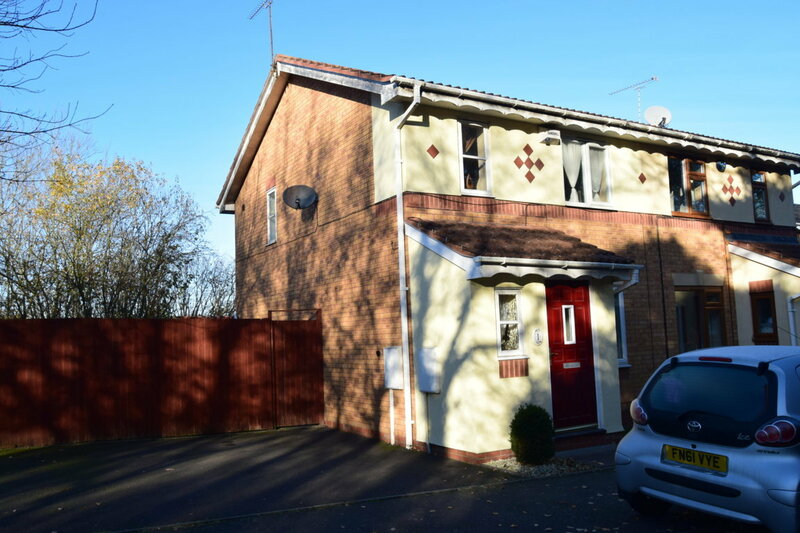 This property is on the market with ‘One roof property’ for £141,950. This house would be able to fetch of rent of around £695 PCM, giving you an annual yield of 5.88%. If this particular property were in another area of Nuneaton such as Atlleborough or Whitestone you would most definitely be looking at getting a better yield due to higher rents that could be charged! The second property isn’t a million miles away from the first, located on Brendon Way, on an estate which many years ago was predominantly council houses. Over the years the majority have been bought and are now privately owned. This one in Particular is a prime example of not judging a book by its cover…. you really NEED to have a look at the internal pictures as its stunning! !Finished to a really high spec, it looks more like a show home, and would most definitely attract a higher end tenant regardless of the area. This property has 3 good sized bedrooms as well as a conservatory and a garage. Size wise It is substantially bigger than the first property also. This type of house would in the same way appeal to working professionals and families looking for their ideal home. 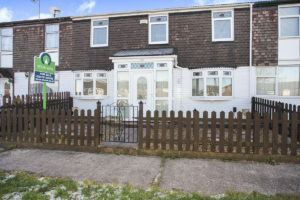 If you were to pay the asking price for this property which in all fairness I think would be a good call, you would also be able to charge rent of around £695 a month and you would have no shortage of interest! This would in turn give you an annual yield of…wait for it…. 7.25%!! A lovely figure indeed! I think from reading this article you can guess which property I would favour as a buy to let investment, but I do know different people have different ideas of the type of property they like to own. You must always remember that it is not you who will be living in the house, looking at the bigger picture like yields, the areas where the property is situated, and what you will be able to get out of your investment in years to come are all contributing factors when picking any property! Immigration Act- penalties for Nuneaton Landlords coming in today!! Now I’m sure you will have heard about the controversial Right to Rent Legislation? Well, it’s stepping up a notch with Immigration Act penalties coming in today, which means more than just a slap on the wrist for landlords and agents leasing homes to people with no right to rent in the UK. We’re talking thousands of pounds in fine and potentially a prison sentence. I’m guessing they have an abundance of spare beds in UK prisons at the minute?! As of February this year landlords or the letting agents representing them, had to make sure that their tenants had right to rent. Those found to be ignoring the additional checks and continuing to lease homes in England without their tenants having a right to rent could be fined up to £3,000…per person over the age of 18…OUCH! However, those who had taken reasonable steps in an apt time frame to end the tenancies of illegal immigrants would be protected from prosecution…sparing up a bed with a balcony view for the next naughty Landlord. “The new Act keeps the original civil penalty but adds a new set of offences for landlords and agents, which can be can be prosecuted in either the magistrates or crown court. Landlords can and will be forced to evict tenants if they have no right to rent. The Home Secretary has the authority and isn’t afraid to use it. The Home Office has previously stressed that prosecutions will be targeted at repeat offenders but, in all seriousness now, the pressure is on for Nuneaton landlords and agents to be seen to be doing the checks, and doing them properly. 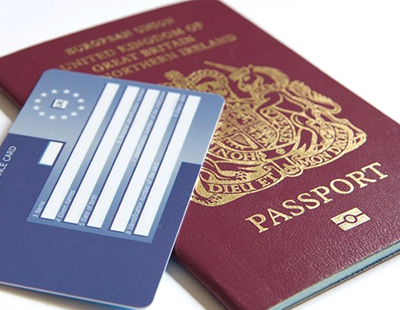 To read the RLA’s guide to the Immigration act- please click on the link below.